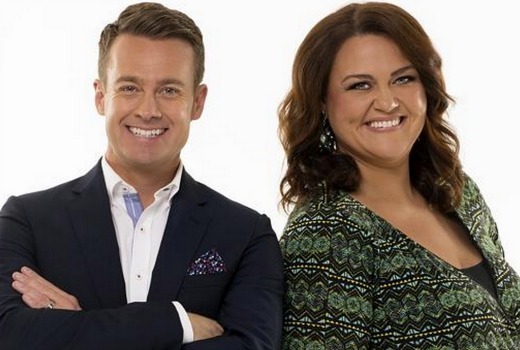 TEN personalities Chrissie Swan and Grant Denyer will combine forces for The Great Australian Spelling Bee. The “super-sized” format, due on TEN later this year, sees kids aged 8 – 13 tested on words, definitions, grammar and problem-solving. It was developed by Head of Drama, Rick Maier, with Shine Australia. First reports of the new show teased at casting ideas with Swan, Denyer and Carrie Bickmore. “It was one of the few things you read about yourself where you go, ‘Oh I hope it is true!’ Because I’m mad for spelling. Dare I say I judge people if they send me an email and the spelling’s wrong,” said Swan. Denyer said the show wouldn’t impact on Family Feud commitments. “It’s a condensed filming period because we want to minimise the impact on the kids,” he said. Hello People ….. A show during primetime watching people spell words? How does this pass off as entertainment? I would disagree with anyone saying anything negative about Grant Denyer! He has def won me over from his new style on FF he’s a great asset to TEN- he is probably more so the reason I’d watch this though didn’t think he’d go for something like this but all good & for Chrissie she’s great. Though I’m not a fan of a spelling show I will give this show a go! I always wince when people declare they are spelling Nazis. Principally because 9 times out of 10, they immediately make an error. How big is the box he is standing on for that promo shot? Don’t mind Chrissie Swan and Grant Denyer for the new show but sometimes they could be jovial. I think in fairness we should let it air first. People once slammed TEN’s proposal for a cooking show in primetime. It should be interesting watching these two host. They are both very funny and this show sounds like a hoot. I wish this show was around when I was a kid. I would have been great at it. Seriously, Grant Denyer !! I was going to watch this show, but will not go anywhere near it with him hosting. He is the most annoying person to ever grace a television screen in my opinion. Ten is a fast growing channel in the main areas where as Seven and nine heading downhill fast. Ten is 3rd rather than 4th. Not true. ABC is 3rd highest rating network. I publish ratings info every week. TEN are the fastest growing, but only because they are coming from a very low base. They are still feeling the effects of 2012! Ten’s twitter account and webcasts.